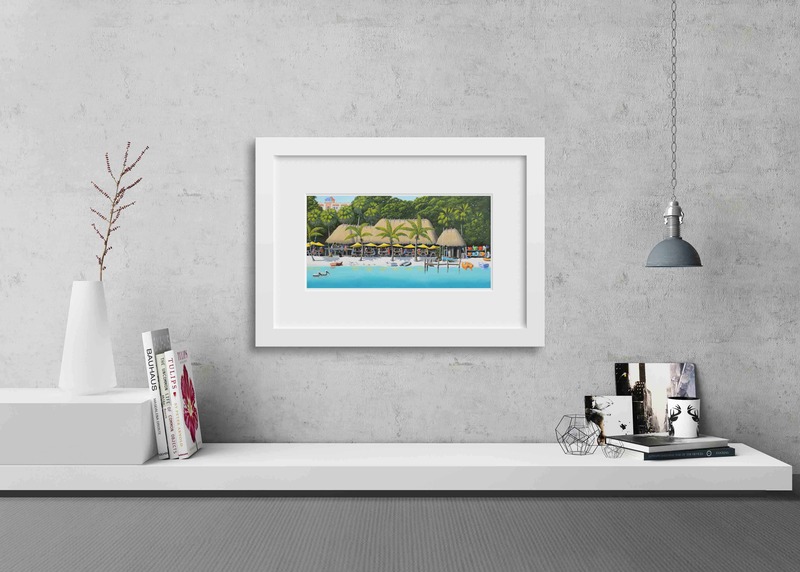 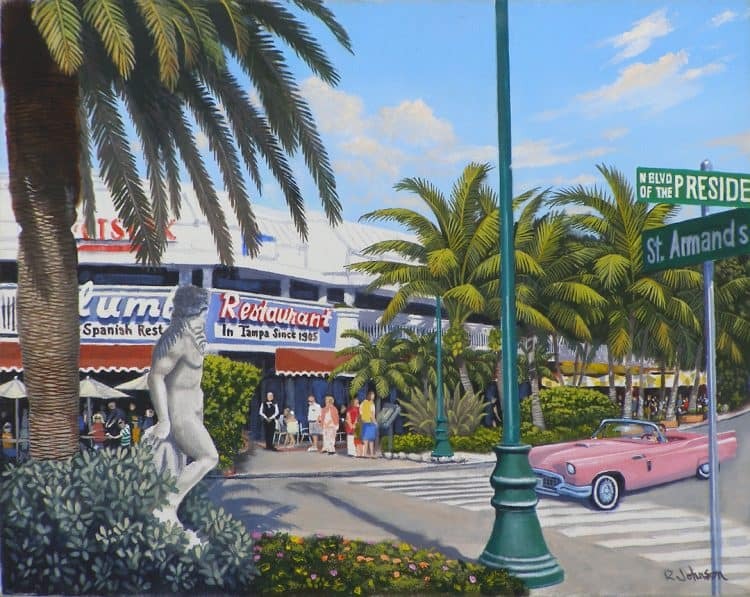 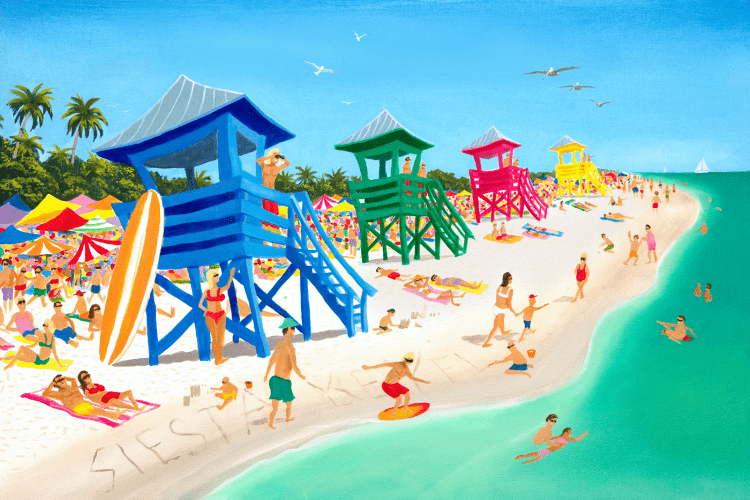 Purchase your very own signed giclee prints and limited edition, signed canvas reproductions. 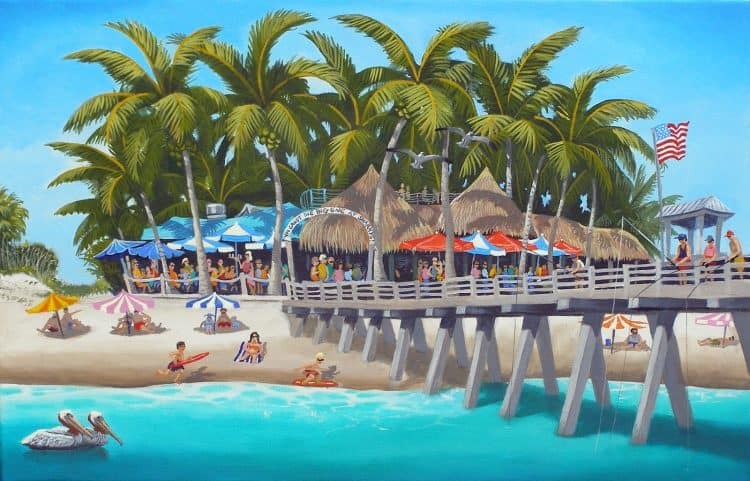 ‘OLeary’s Tiki Bar’. 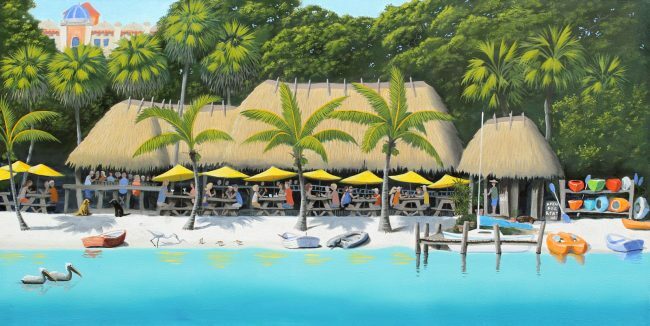 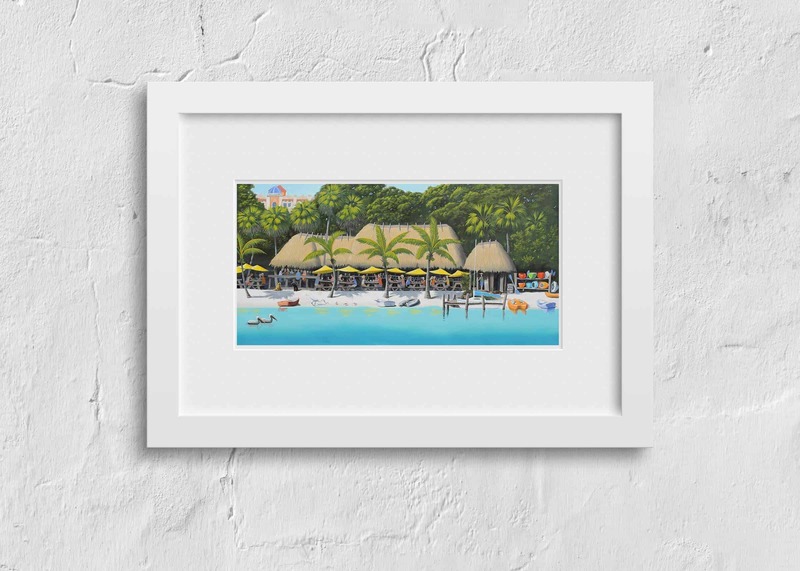 Fun scene of Sarasota’s favorite bayside tiki bar and restaurant. The gorgeous giclee on canvas reproduction looks like the original. 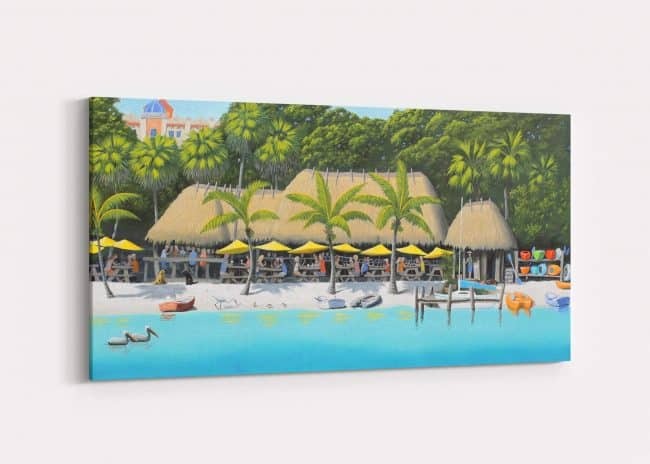 The sumptuous canvas wraps around the sides (Gallery Wrap) so your new artwork is ready to hang immediately. No framing needed.